The cardholder does not recognize the transaction and additional information beyond the data required in the clearing record is needed to assist the cardholder in identifying the transaction. Provide a copy of the transaction receipt or a detailed description of the goods or services purchased. If applicable, also include additional information or transaction data that was not required in the clearing record (a representment for an aggregated transaction must include details of the individual purchases that have been aggregated). 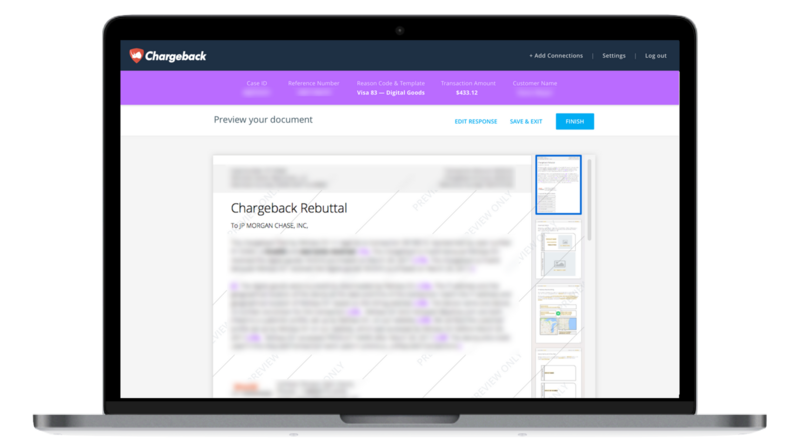 Use the Chargeback App to respond to Visa Chargeback Reason Code 75.